If you’re seeking to move your home to a new place in Perth, why take all the pain upon yourself? Better find out the professional and reliable house removalists company in Perth that looks after everything and let you involve in other productive tasks at hand. All professional movers of a renowned company in Perth are skilled to handle all sort of relocations. So, you can confide in such removalists companies in Perth for the smooth and trouble-free moving of your house. Therefore, first, you need to hire a trustworthy moving company in Perth so that the whole process can be done quickly, smoothly, and safely. Not only this, some reliable removalists companies are also ready to take on additional responsibility to pack all your household stuff. In many situations, the above fact is not essentially true because most of the moving companies in Perth provide insurance coverage only in case of accidental damage of belongings. They don’t provide any insurance cover for the damage of goods caused in transit or storage. So, always compare such tricky aspects of travel insurance while hiring reliable and professional house movers in Perth. Always keep in mind, all professional removalists Perth are not great packers, so they don’t focus on packing themselves. So, you need to verify whether your selected moving company is providing you a dedicated packing service or not. This is a wrong perception, there is a lot of difference between “warehouses” and short-term storage units. In warehouses, your households are offloaded to a corner which is later on frequented by customers whenever the need arises. Also, they don’t provide any security to your movables. You have to hire a specialized storage facility to store your units securely. So, first, verify and confirm with your moving company in Perth whether they offer such services or not. It is a common misconception regarding the removal companies that they always charge some unexpected hidden cost once the work is done. Also, people think these moving companies don’t provide you with any breakup of the charges and even ask you to pay a hefty sum of money instantly. However, the real fact is that any reputed moving company never charge a hidden cost for your work. If any change in pricing or additional charges are there, they will first discuss it with you long before they start the packing process. 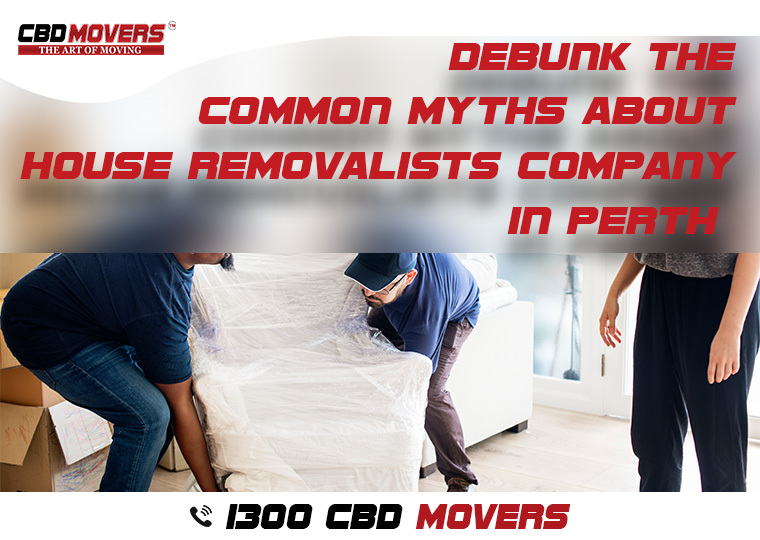 We hope all aforesaid myths about professional movers have been cleared now. So, always give needful attention while hiring an expert removalists company Perth to make sure this will be a better deal on your part. Next PostNext Do You Really Need To Hire Furniture Movers Canberra?